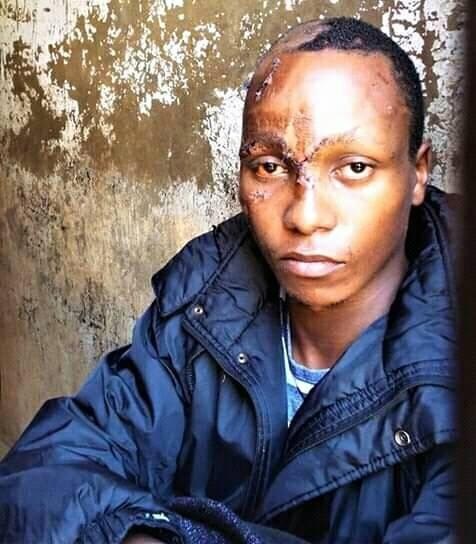 Monday, April 15, 2019 - Here’s a clear photo of Naftali Kinuthia, the 28 year old man who hacked Ivy Wangechi to death. Kinuthia was saved by police from a mob that had descended on him with stones. He tried to escape after killing the medical student but boda boda riders cornered him. Here are the injuries he sustained. This young man is lucky to be alive.